Two years ago, we decided that we were going to do something. What that thing was, we’re still trying to figure out. But since May 19, 2014, there has been a lot of truly inspired, entertaining, and all-around interesting pieces written by our staff. Over the years, there’s been a few pieces that have stuck out to all of us. They may not have been the most popular articles, but our writers put together a list of their personal favorite KultScene pieces from over the years. I don’t particularly like lists. I really don’t like Hyunseung’s song. Yet I love this list about Hyunseung’s song. Aside from the flashy outfits and occasionally overdone and layered makeup, something that a K-pop fan can always look forward to when awaiting for their favorite artist/idol group’s new music video to drop is the choreography. Whether they impress you or not is up for discussion. In this article, Joe does an excellent job of comparing what are two completely different worlds of dance and how they, in the end, influence one another. Dancing isn’t quite the same as it used to be, but those who appreciate and follow the core values that were made from the beginning will be the ones who will help keep it alive and fun. I would probably pick someone else’s article, except I remember getting so upset when I read the Wall Street Journal’s article that just seeing the title of my own piece makes me fume. This is one of the few, in-depth pieces I’ve done for KultScene and I think it is the ideal sort of think piece we’d like the site to be known for. 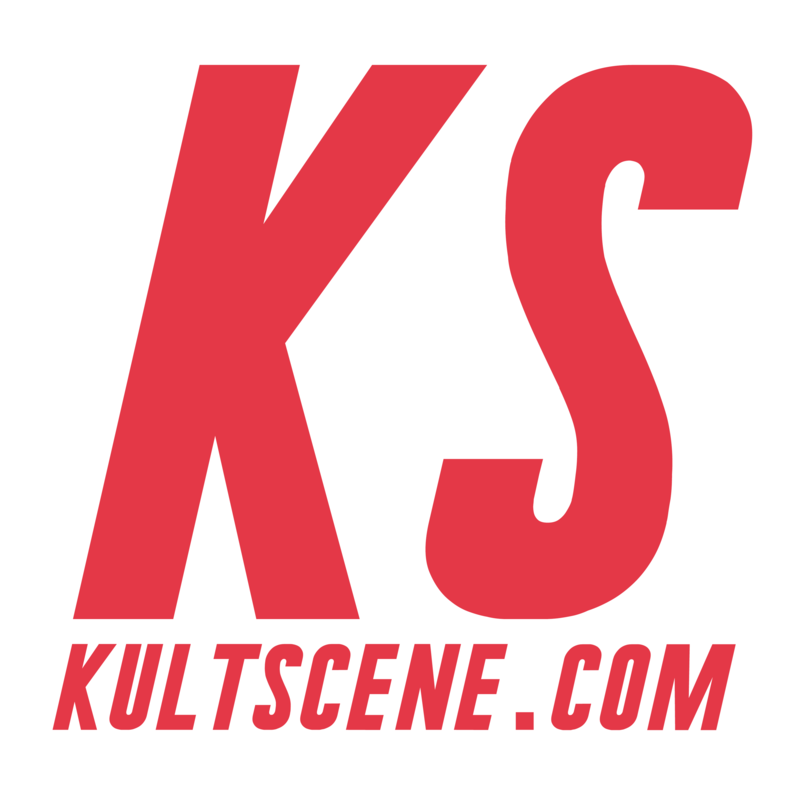 We began the site two years ago as a place for creative content related to the world of Korean pop culture so… Here’s to the future of KultScene! The first article from Kultscene which I had randomly chanced upon was also the article that eventually convinced me to join the team. Joe boldly touched on several sensitive topics that I had been very curious about (JYJ’s relationship with SM Entertainment for example) and gave many detailed insights that convinced me to see things from his point of view. This music video and song review was one of the first articles I’ve published for Kultscene, and by far carries the most personal meaning for me. When the music video for BTS’s “Dope” first came out one of the editors suggested I cover it, and me being the eager rookie correspondent that I was at the time, answered with an enthusiastic “sure!” Only problem was… I knew little to nothing about the group. While that shouldn’t be an issue for a task that required only analyzing the form and content of the song and video, I always had this preconceived notion that good writers researched everything about their subjects before doing their work. In this case, that meant learning all their names and quirks in addition to what the group stood for. All I can say is that a lot went into writing this review; I surprised myself with what I was able to do as a writer of music with a nonexistent background of music theory and of BTS. I would like to think that it was my extensive labor instead of the group’s obvious fanbase that landed this review in our top ten most viewed articles of 2015, but that would be rather narcissistic of me, wouldn’t it? Perhaps almost as narcissistic as highlighting a past review that I had done on a list of Top Ten Must Read Articles. 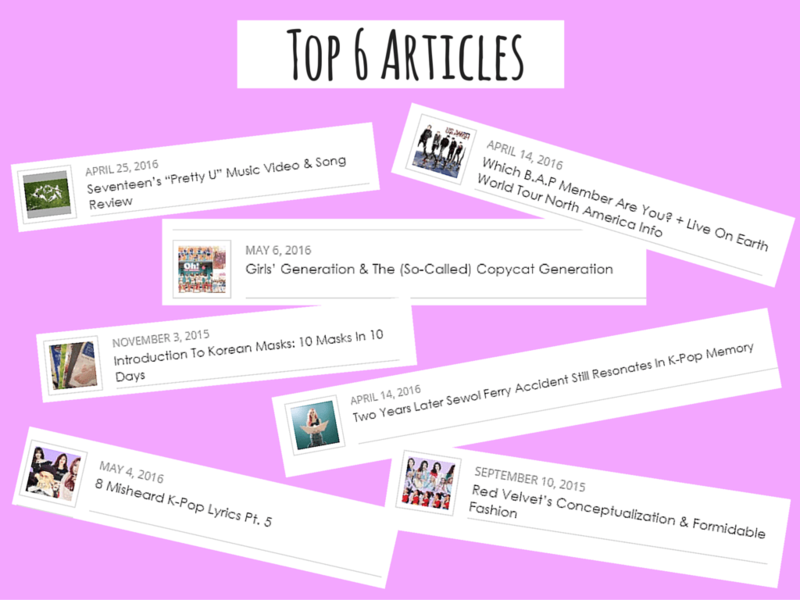 What has been your favorite article by us so far? Share your picks and thoughts in the comment section below and be sure to subscribe to the site and follow us on Facebook, Twitter, Instagram, and Tumblr to keep up with all of our posts. If you’re looking at anything published by us, you are likely a Korean pop culture aficionado. And while it’s not all just about K-pop, this giveaway is. Tonight’s anniversary giveaway is sponsored by KORE Limited! Each of our three lucky winners will win a K-pop related T-shirt, which usually begin at $19.95. So what are you waiting for? Entering is easy, just follow the plugin below. Because of shipping concerns, this giveaway is only open to readers in the United States and its territories. The winner will be chosen randomly and will be announced on May 18 at midnight EST through our Facebook and Twitter, so make sure to check back. But if you want to go ahead and order other clothes, be sure to check out KORE Limited’s site before the winners are revealed. You can enter for either one or all three of the t-shirts, so make sure to enter the right one! We want to thank KORE Limited for sponsoring the giveaway, so check out their site, Facebook, Twitter, and Instagram to see all of the fun things they’re doing. Also be sure to tell us what your favorite Korean snacks are, subscribe to the site, and follow us on Facebook, Twitter,Instagram, and Tumblr to keep up with all of our posts.